Words by Kevin Doocey on March 21, 2019 . As each day passes, the contract of Rafa Benitez ticks down little by little. 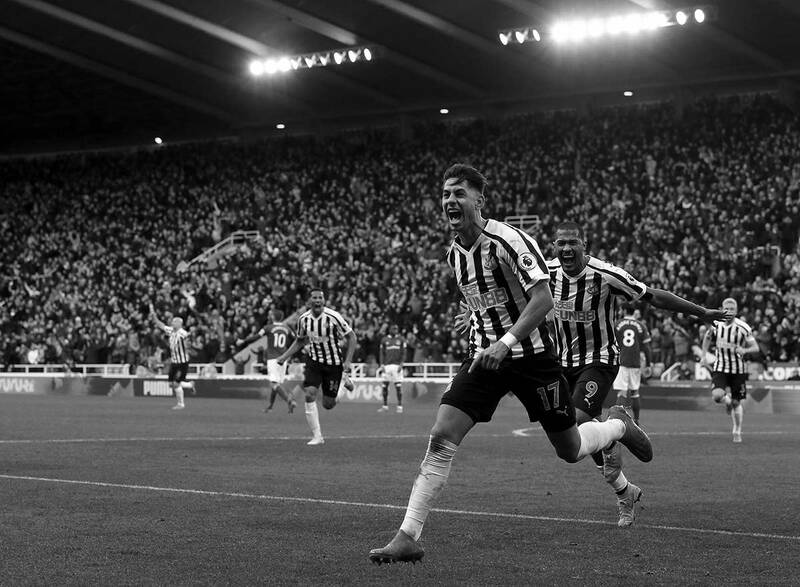 Three years after taking the reins at St. James’ Park, Newcastle United as a club has felt a renewed sense of energy, a feeling of pride in their team, and a unusual sense of hope that has been vacant for quite some time. Yet, despite all that, as NUFC fans, we are brought back to reality when we remember who owns this football club. In a ten year era that spans broken promises, unscrupulous decisions at boardroom level, and outright lies - Toon fans are rightly weary of getting their hopes up even a smidgen. It is compounded by the fact that the one man who has done his utmost to lead the club out of the fog into the light is likely to leave in a matter of months, and leave behind him the biggest missed opportunity that Tyneside has harbored in as long as I can remember. All is not lost though. Rafa Benitez wants to stay, supporters are desperate to keep him, his squad fight for him, and deep down - the NUFC hierarchy are eager to keep ahold of one of the most coveted managers in world football. With Benitez, you are guaranteed professionalism. You have an iron-clad guarantee of solidity on the pitch with the Spaniard being nothing short of a tactical guru. Rafa has eked out 110% from a squad that would likely have underachieved and found themselves in the bottom three of the Premier League under a different boss. He has instilled belief in every player, and every supporter that clamours to watch the Magpies. To echo everyone else who sees the situation for what it is - it would be a travesty if Rafa leaves. Newcastle would most probably revert to a sub-standard manager who would inherit a squad that have completely bought-in on Rafa and his plan for NUFC. Any manager to follow on after Rafa would be facing a mammoth task, not least in garnering the squad together, but in trying to win over supporters. Benitez is the best manager the club could hope for, and whether Mike Ashley truly realises that - we may never know. Over the past fortnight, many reports have circulated about how Ashley is set to stay for the near future/medium term. It is backed up by claims that MA is keen to get back to his ideal transfer model of signing younger players who can grow at the club before being shipped out for a premium rate. The idea here is to rinse and repeat, and make the club a lot of money in the process. It is a playbook that has reaped financial rewards in the past with the acquisition and subsequent sell-on of Moussa Sissoko, Gini Wijnaldum, A. Mitrovic, Daryl Janmaat, and so forth. There’s not much wrong with that philosophy in truth, but there’s a delicate balance. It has also back-fired and left managers such as Pardew & McClaren with an inexperienced squad that they cannot motivate or organise. I do think that a compromise can be reached between Ashley’s ideal blueprint & Rafa’s ideas. Benitez should have full input on players arriving, and I believe that him finding suitable players with great potential under the age of 26 would be natural to him anyway. The compromise needed is that Rafa is allowed to bring in a couple of senior players he deems fit to be an important asset to the side, and that can help bring along the younger, high-potential players in their progress. The obvious sticking point ahead of a contract show-down in the need to keep 29 year-old Salomon Rondon. The Venezuelan has scored some crucial goals to keep this club in the Premier League, but it is his overall play that has inspired the team. It’s been quite a few years since I’ve witnessed such fine hold-up play, and game intelligence. He’s a talented fella, and an ideal centre forward to lead the line for Newcastle for years to come. By all means let’s pursue up and coming players (which Rafa has done throughout his career anyway) but allow for a few exceptions where need be. Rondon arriving on a permanent basis in the summer would give the side a huge boost, continue to help Ayoze & Almiron gel, and ultimately offer a springboard. Depending on how West Brom fare out in their quest for promotion to the Premier League, Rondon may be available for £16m - a fee Ashley would likely gag at for an almost-thirty-year-old. Yet, it is a signing that needs to happen. It can pay itself off in a couple of years. The transfer policy can work. Benitez just needs some leeway, and deserves it - look at what he has done for Newcastle United in a short time. If assurances can be put in place to allow for that, alongside a set transfer budget – maybe, just maybe Rafa Benitez & Newcastle United can continue their chapter in this football club’s history. Fingers crossed. By all means leave a comment below, and don’t be afraid to reach out on Twitter @KevinDoocey.